Dave is using the talkbox during the song Generator by the Foo Fighters. Here you can see him doing it during a show in 'De Melkweg' in Amsterdam from 02:25. 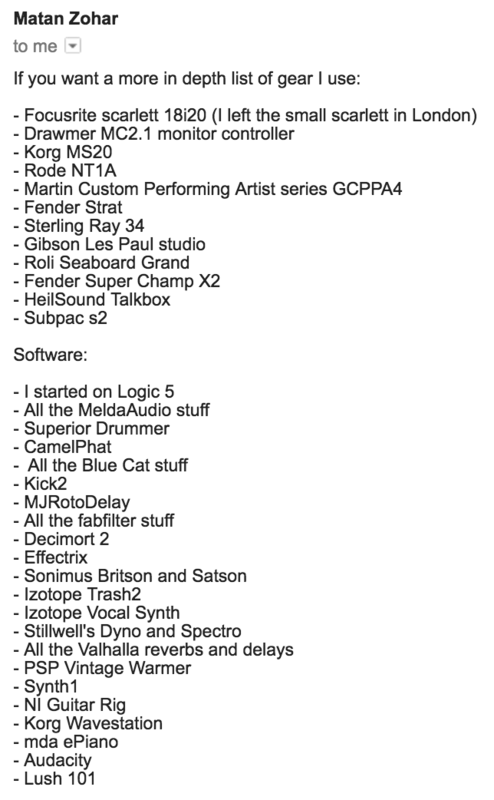 In this email from Mat Zo from February 2017 detailing his studio gear, he reveals that he uses the "HeilSound Talkbox," which refers to a Dunlop Heil Talk Box. The Dunlop Heil HT1 Talkbox is used by Slash. Mick uses this talk box according to *Guitar Geek*. In the songs "Pigs (Three Different Ones)" and "Keep Talking", released on 1977's **Animals** and 1994's **The Division Bell** respectively, you can here an audible talk box effect. Even more so, you can see at a live performance during the "Pulse" tour of "Keep Talking" with him using the Talk Box effect. I personally am not sure which Talk Box effect he uses. "The talk box was probably Walsh’s most famous effect. Used on songs like “Rocky Mountain Way,” and “Those Shoes” this has become a signature of his." - also, in the article, it states that this is the Dunlop Heil Talk Box. Form the great "Linin' on a Prayer"
In this detailed gear diagram of Munky's Korn stage setup, you can see the guitarist used a custom chrome plated Dunlop Heil HT1 talkbox in his 2002 guitar rig. The pedal can be seen from 6:50 until 6:54. In addition, the guitar tech (I. Powitzer) is talking about the connection system. Sascha Gerstner shows the Heil Talk Box at around 0:11. A video shows WRLD using a Dunlop Heil Talk Box. I use my Heil Talkbox to create any and all vocoder style sounds plus the most whacked out EDM sounds ever heard. As the first guitarist to play dubstep and the creator of the sub-genre Dubstomp I rely on my talkbox for many of the sounds in my guitar-synth arsenal. i make it talk and it speaks volumes.